While some of you may not like Huawei devices because of the inability to unlock the bootloader officially and mod the device to your liking, the company is still very big in Europe. The main reason behind their success is their variety of inexpensive smartphones. Last year in December, the Chinese manufacturer launched the Huawei P Smart, an affordable smartphone that was later branded as the Honor 9 Lite in America. Now, the company is planning to release the successor to the device, the Huawei P Smart 2019. A trusted source reached out to us via our intermediary at FunkyHuawei.club with information on the device, and we’re more than happy to share the details. The HiSilicon Kirin 710 system-on-chip debuted on the Huawei Nova 3i. It is a mid-range SoC with eight big.LITTLE cores, 4 and 4 of each. While the GPU is not as capable as the one on their flagship SoCs, Huawei’s Kirin 710 has similar CPU performance to the Kirin 960 and 970. It is manufactured by TSMC on a 12-nanometer fabrication process. On paper, it is a direct competitor to Qualcomm’s Snapdragon 636 and 660 chipsets. In comparison, the Huawei P Smart 2018 featured a Kirin 659, so the 2019 version of the device offers a more powerful SoC. According to our source, the Huawei P Smart 2019 will feature 3GB of RAM and 64GB of internal storage. This has become a pretty standard configuration for mid-range inexpensive smartphones. Now, there is a good chance that Huawei will offer other hardware variations. The Huawei P Smart 2018 came in two configurations: 3GB/32GB and 4GB/64GB. Thus, we wouldn’t be surprised if the 2019 model also has a 4GB RAM version. Remember the Huawei Mate 20? It’s one of the few flagship smartphones available in the West with a teardrop/waterdrop style notch. 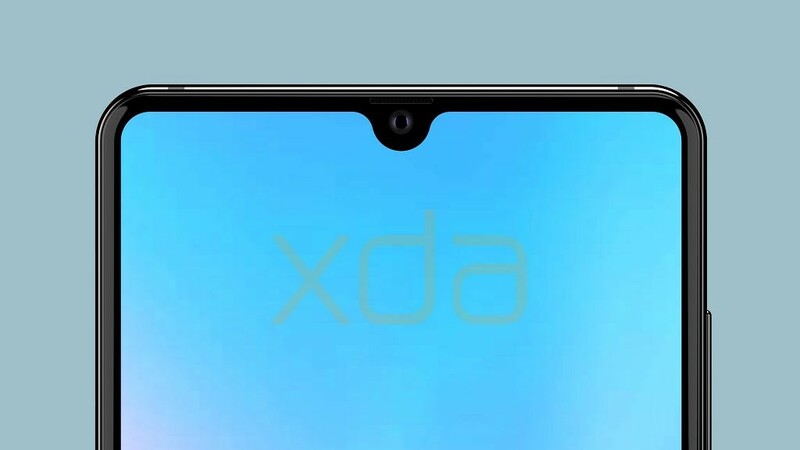 Our source tells us that the Huawei P Smart 2019 will also feature a waterdrop notch design. Although the Huawei Mate 20 render shown below has stereo speakers, we’re not sure if the Huawei P Smart 2019 has dual speakers so use the render below only as a reference. On the bottom of the P Smart 2019, Huawei seemingly decided to stick with a micro USB port. In 2019, that’s a tough pill to swallow. On the rear of the device, there are 2 cameras although the exact sensors and features are unknown to us at this time. The Huawei P Smart 2018 had a decent camera for its price, but it was not difficult to find a better smartphone camera in the same price category. On the front of the P Smart 2019, we’re told it has an IPS LCD. Lastly, the device will have a glass unibody design to give it a bit of a premium feel. We were told that the company plans on launching the P Smart 2019 in January in Europe at a starting price of €199. It’s quite a low price considering the specifications and design. It’s a sign that Huawei is pushing hard to contest Samsung and Apple in Europe. This is all we know so far about the Huawei P Smart 2019. It looks to be a promising mid-range device at an affordable price. We’re fairly confident in the level of knowledge of our source given our previous leaks of the Huawei Mate 20 mostly turned out to be true. However, since the device isn’t launching until January we might have incomplete information at this time. If you’re interested in this device, we should mention again that it’s not possible to officially unlock the bootloader on a Huawei or Honor device so keep that in mind when considering your options.